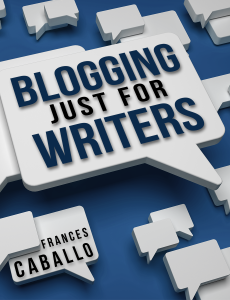 Blogging Just for Writers is packed with best practices, suggested topics, and loads of applications and plugins to ease your blogging. Buy it on Kindle and wherever you like to purchase your eBooks for just $2.99. If you just published your book and debuted your author website, you probably discovered that having a website isn’t enough. You also need a blog. Don’t worry. This eBook will answer all of your questions and help you attract new fans to your blog. You will learn about applications and websites that can curate the best information in your niche, discover blogging communities you can join, find great resources that offer free images you can use for your blog, learn about applications that will make your blogging life easier, and find a list of suggested writing prompts and best practices. In addition, I share the story of Trish Collins, co-owner of TLC Book Tours, whose blog turned into a very successful business. Available on Kindle and wherever you like to purchase your eBooks!